You are seated at the table. Time is seemingly slipping through your hands. You look at your watch, at the players looking equally as glum beside you, back at your watch and then at the player who still hasn’t made his mind up. It’s been 10-minutes and you let out an audible sigh that reverberates around the table like an earthquake measuring 8.9 on the Richter scale. 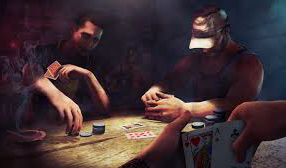 If you are new to the game of live poker, perhaps only normally playing online poker with the likes of Unibet, then it’s time you learned a little secret. For some reason the younger players in the game are seemingly taking an age to make a decision. This pattern flummoxes the mind when you consider most of them are playing more than 30-hands per second online. What can you do to turn the tide in the war against the stallers? You can call for a clock. So what constitutes a reasonable amount of time? As always the answer is ‘it depends’ as each situation is unique, but if a player is stalling time after time then you should be calling for the clock with an increasing regularity. Give them the benefit of the doubt the first time around and then step up the pace of the game. To call for a clock just indicate verbally to the dealer who will call the floor to take over the situation and start the countdown.